While efficiency savings of LED lighting systems have been widely publicized by the industry, an often overlooked, but equally important consideration exists--- installation and maintenance costs. Our LED power solutions have unique patented design features that make system installation as simple as plug-and-play. With our unique Driver+ features, an LED system can be upgraded easily with add-on accessories, making systems versatile and future proof. More importantly, significant cost savings is realized as a user only has to pay for what is needed, and may upgrade at any time, with more features, without re-engineering the system. Our unique easy-install series of LED Drivers feature a patented enclosure design that eliminates the need for external junction boxes and associated hardware. 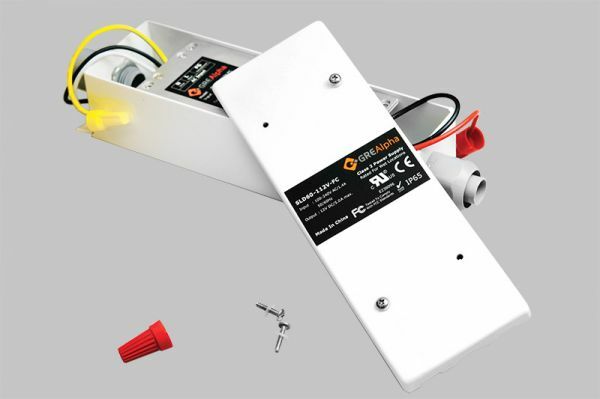 The integral wiring system allows for both AC and DC side connections to be made within our LED driver’s enclosure, reducing installation costs, simplifying installation and maintenance. With our plug-and-play technologies, maintaining system reliability while reducing installation and maintenance costs could not be easier.